The rounded tips have safety bars that protect even the most sensitive skin from irritation. Plus, the shaver is fitted with hypoallergenic flexing foil. You might need to do several passes over one area. 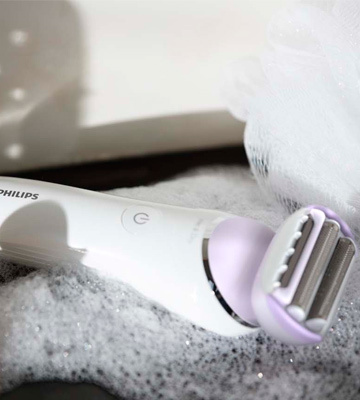 The Philips SatinShave electric shaver is an all-in-one solution for shaving legs, knees, ankles, underarms, and bikini area. Its s-shaped handle allows for an excellent reach all over your body. 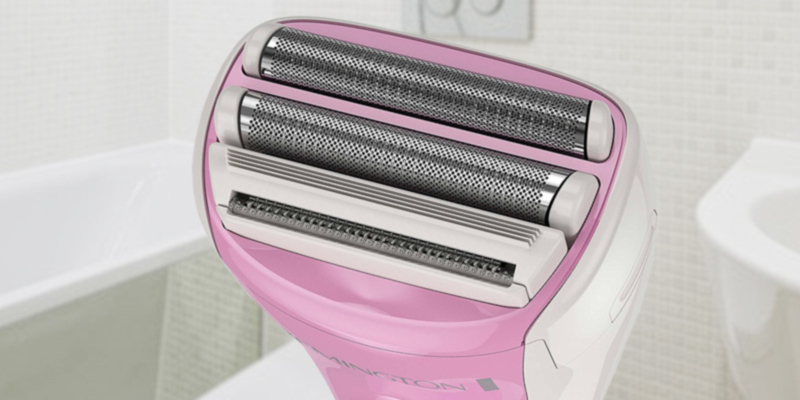 Truly the best razor for women! Hypo-allergenic inner shaving blades prevent any irritation. You can easily fix the stand for charging to the wall and thus, save some space in your bathroom. Shaver is more effective for dry shaving rather than wet one. 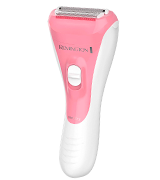 This razor is used to shave women's legs, bikini line, and underarms. Super-sharp blades of triple shaving system were designed for accurate shaving. In addition, it is absolutely save to use the epilator in the shower. Designed for a more thorough shave, floating bikini trimmer precisely follows the contours of the bikini zone. Hypoallergenic foils allow for shaving without irritation. Storage case is not included. 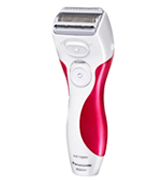 Electric lady razor for legs, underarms and bikini zone. It is compact and has an ergonomic design. It perfectly suits for wet shaving and battery indicator will show when it needs recharging. This razor is featured with a 4-blade shaving system, which makes it one of the sharpest models available on the market today. The unit gives almost as close of a shave as a blade. Some users note that the power decreases a bit when the charge runs low. It’s both a convenient and affordable electric razor that works great on all body areas, with no nicks but a nice close shave. Equipped with four floating heads, it will leave your skin smooth and silky to touch. It's made with an s-shaped handle that allows for a better reach all over your body. Plus, the shaving head features comfort cushions that deliver a very gentle touch. It's more expensive than its counterparts. The Philips SatinShave Prestige Women's Electric Shaver is one of the best models for creating various styles in your most delicate zone. You'll be hard-pressed to find a more usable grooming tool for the bikini area. What differs this Philips razor from the other models in our list is that it is actually an electric shaver. It is perfect for those who want perfectly smooth legs, but for various reasons can’t seem to pick the best hair removal method. 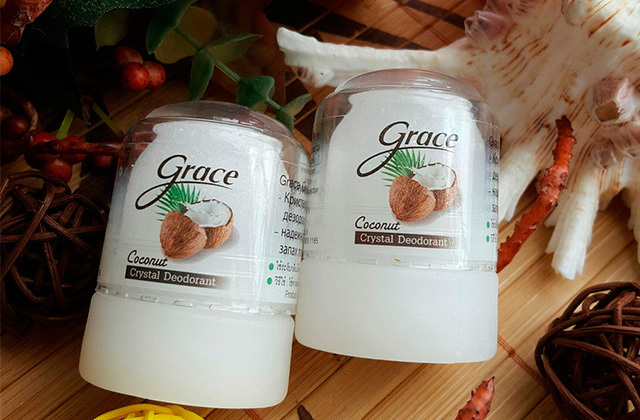 So it doesn't matter if you are too afraid of painful sensations during epilation or waxing, or can’t use depilatory creams because of allergies since, with the help of this product, you will be able to achieve perfect results. This rechargeable razor is able to work for about an hour on a single charge, which might not seem like much, but this should be quite enough for shaving all the body parts you want. As a nice design touch, there is a battery indicator on the bottom of the unit, which always shows you the remaining charge. Hence, you’ll never run out of power mid-shave. On the negative, the shaver has a rather long charging time - up to 8 hours. So, don’t forget to charge it in advance. Another small but noticeable drawback for us is the only 1 speed of the device. However, some users consider this solution as an advantage, since 1-speed operation makes the device very easy to use. On the flip side, this device is fitted with rounded pearl tip trimmers and hypoallergenic foil, which makes the grip safer and more hygienic. The floating foil razor head closely contacts the skin and softly glides while reaching in and out the curves of your body. It is also exceedingly safe to use. Mostly because this hair remover has a round tip trimmer, a particularly helpful tool as it protects the skin from cuts. Supplied with bikini trimmer head and comb, the Philips SatinShave razor ensures very gentle shaving in the bikini area. The attachments can help you trim long hairs before shaving the bikini line. And for extra skin protection, you can apply gel or foam on that sensitive area and use the shaver right in the shower. 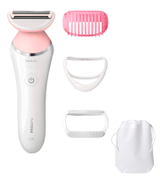 So, if you need an ultra-flexible razor for comfortable and safe shaving of your legs, knees, underarms, and bikini area, this Philips electric shaver might be the best bet. It definitely has more pros than cons, and it will easily become an irreplaceable device for every lady. 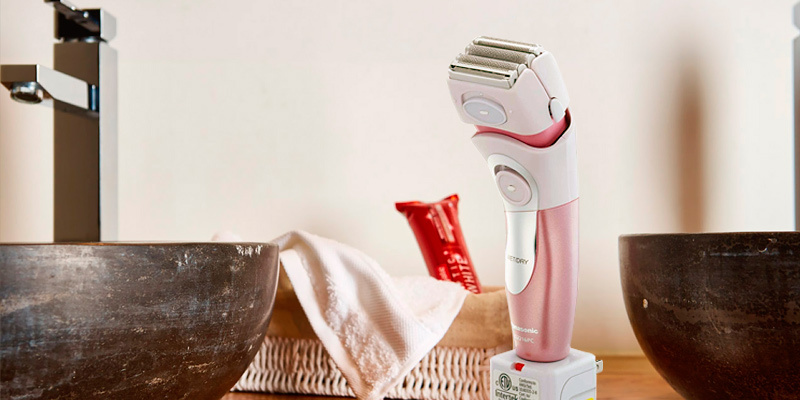 Panasonic women's electric shaver has three independent floating heads and boasts a triple shaving system that ideally suits for shaving legs, bikini and the underarm areas. It exactly follows all the contours of the body. 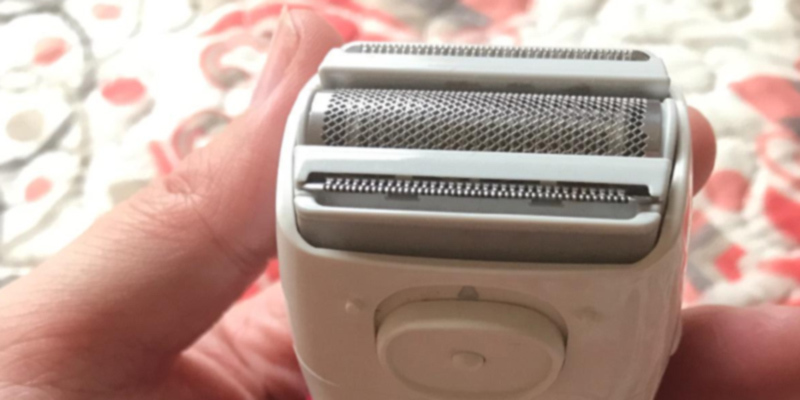 This shaver does not cause irritation and redness. One of the advantages is a long operating time with a fully charged battery - 1 hour. It is absolutely safe for shaving in the shower and hypoallergenic inner shaving blades don't irritate the skin. 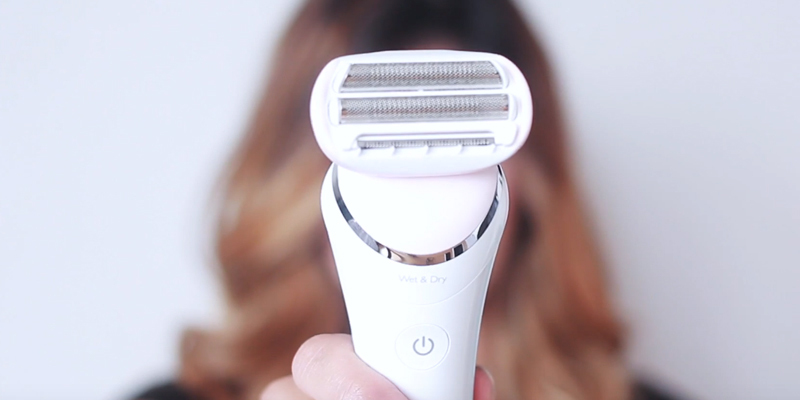 Women's shaver uses three independent floating heads to shave smoothly along contours of your skin to make your legs, underarms and other areas look perfect. There are two additional attachments that come with this device - two floating shaver trimmers. These are small devices, their difference is that they do not pull out the hairs but gently and carefully shave them. 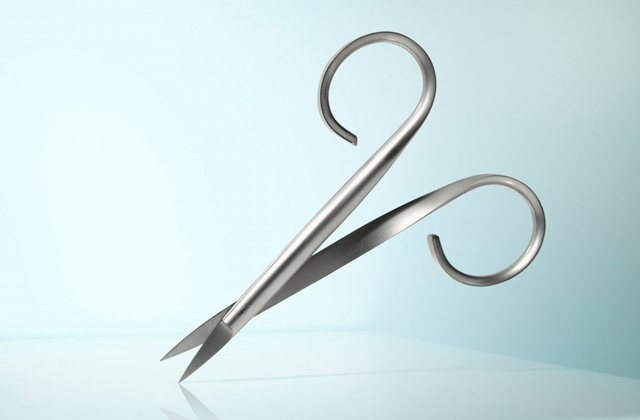 Thanks to painless operation, trimmers are ideal for bikini and underarm areas. 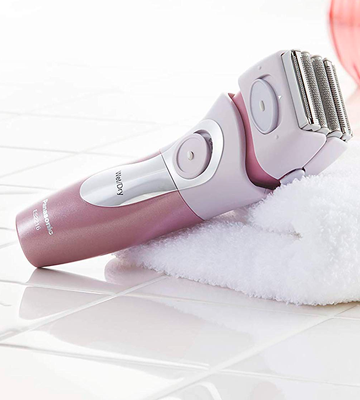 Super-sharp blades of the triple shaving system are designed for accurate shaving. Shaver Panasonic Close Curves includes a case for storage, which also can be used as a traveling bag when set out on a journey. What we definitely like about this model is that it can be mounted right to the wall for more accurate and neat storage. It won't get lost on the shelf with other brushes and facilities, but save you space and effort on clean up. The AC charger is supposed to be plugged in, so you can quickly recharge the shaver when it runs down. After each use, it's highly recommended to clean the device with a special cleaning brush so that it serves you longer and prevents proliferation of any bacteria. An electric shaver is equipped with two shaving heads that can deviate in different directions and planes, and then return to their original position. The heads perfectly follow the contours of your body. 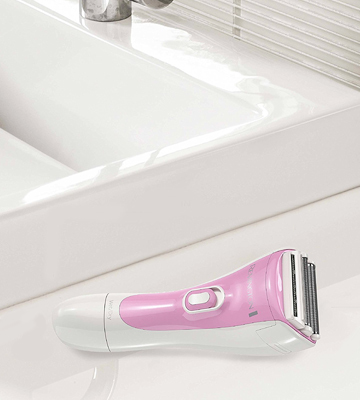 A triple shaving system makes shaving more efficient and comfortable. Cordless usage time is 30 minutes. The razor is suitable for wet shaving, you can use it with both gel and foam. Hypoallergenic foils allow shaving without irritation. Two different, compact attachments provide full care for your legs, bikini and underarms zones. A floating bikini trimmer ensures absolute precision and a painless shaving process. It turns into a big advantage when used for delicate, intimate zones. A comb attachment for trimmer allows you to trim and shorten the hairs to a predetermined length, so you can use your imagination and create any style. The package of Remington WDF 4820 shavers includes two different, compact attachments that perfectly suit for removing even thick hairs from any sensitive zone. In addition, there is a cleaning brush, which will easily help you to clean your device from the hairs after each shaving procedure. 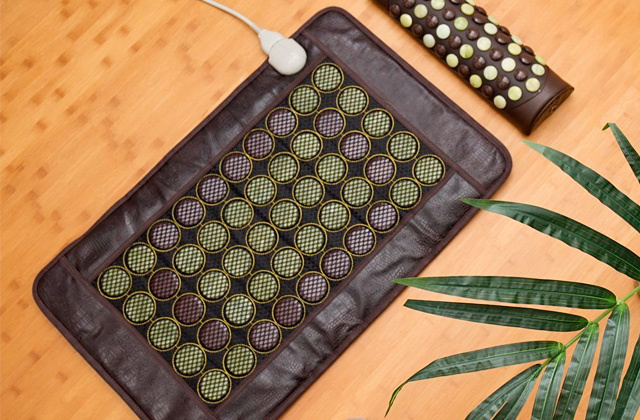 A charging base is very compact and it will not take up much space on the shelf in the bathroom and you can easily carry it while traveling. 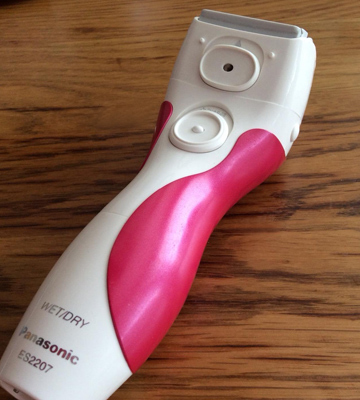 For anyone looking for a decent and inexpensive electric shaver from a reputable brand, we can offer to turn towards the Panasonic ES2216PC, a shaver that is affordably priced under $30 and has all the main features present on more expensive models. Though there are no strict rules saying that the Panasonic ES2216PC is suitable only for women, its attractive light pink casing with silver accents makes it marketable as such. The shaver has a sleek and ergonomic design with defined curves that allow it to naturally fit the shape and size of a woman's hand. The handle of shaver is soft and sure-grip so that holding it in the hand is convenient no matter whether you're shaving in the shower or outside. As you've guessed, the Panasonic ES2216PC is a wet and dry shaver, which means you can decide how to shave, depending on your preferences and circumstances. The Panasonic ES2216PC is a foil-style model, with the head consisting of four blades. They work smoothly on the skin and adopt to the natural contours of your body quickly, providing for outstanding result. Thanks to this, the ES2216PC electric razor is able to give almost as close of a shave as a blade. What's more, these floating blades are hypo-allergenic, so that skin sensitivities will be kept to a minimum, which is particularly important when shaving the private areas of your body. Speaking about extras, there is also a bikini attachment in the box. It’s made from durable plastic and looks a lot like a comb. It easily snaps onto the top of the shaver head when you need to trim your bikini region. The comb offers multiple trim lengths in case you don’t want to shave off the hair completely. 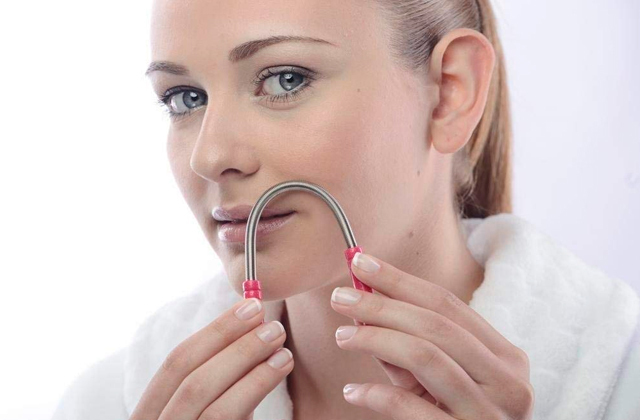 Another helpful feature is a pop-up trimmer that can help you shave above your lips, eyebrows, or any other tiny regions. It pops up with a slide button on the razor. Take note that it’s a bit on a dull side, so you may need to push it pretty hard to activate. The set also includes an AC adapter/charging stand which is quite small and compact. It can be easily tucked into your suitcase for trips or into your purse for dates after work. After a full charge (12 hours), the unit can work up to an hour continuously. Yet, some users note that the power decreases a bit when the charge runs low. But if you try to keep the unit fully charged, you can always expect for peak performance. In sum, the Panasonic ES2216PC's both a convenient and affordable electric razor that works great on all body areas, with no nicks but a nice close shave. Equipped with four floating heads, it will leave your skin smooth and silky to touch. The BRL170 shaver is currently one of the most sophisticated products in the Philips lineup. 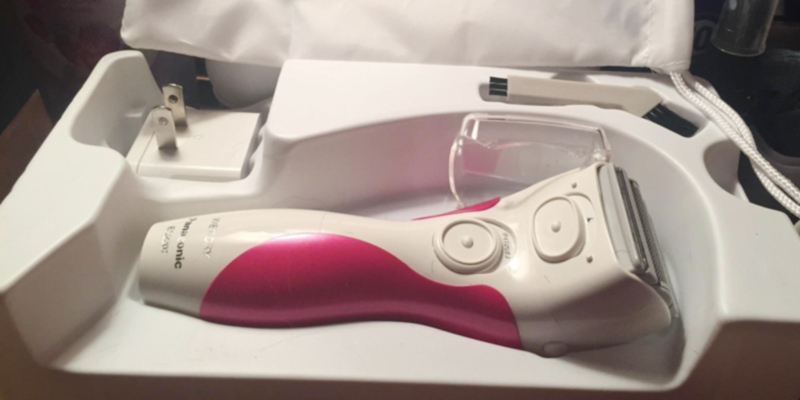 It comes with an extensive set of extra attachments that will let you groom all of your body areas to perfection. The perk of this shaver is that it's designed with comfort cushions that deliver a very gentle touch, especially in your curviest areas. The wide, soft-touch cushions are placed on either side of the shaving head to prevent cuts, shaving bumps, and irritation during your shave. By the way, the shaving head is featured with dual floating foils and a flexing neck to move with you. But what really sells the product is its award-winning design. It's made with the s-shaped handle that allows for a better reach all over your body, not to mention that it also looks very nice. The said handle also boasts an anti-slip grip for easy use in the shower or bathtub. Since it's one of the most advanced electric shavers from the #1 world brand, it's a little on the expensive side, but so far, it's well worth the extra cost. Skin stretcher cap. By attaching the skin stretcher cap onto the shaving head, you can make your hairs stand upright during shaving. This will result in easier removal. Bikini trimmer head is for trimming hard-to-reach areas in your private zone. The bikini trimmer head should be placed flat onto your skin for trimming and perpendicularly for styling and shaping. Bikini trimmer comb. This plastic comb can be attached to the said bikini trimmer head. 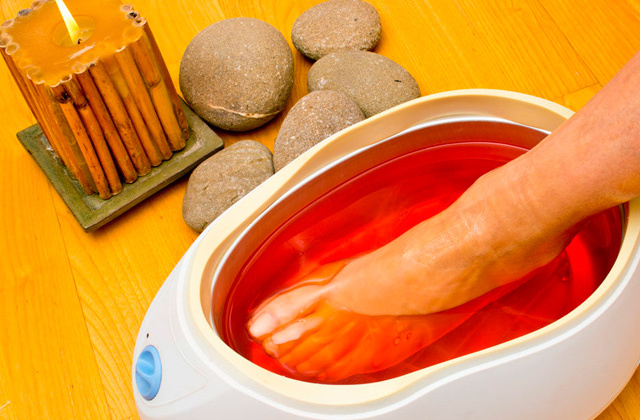 It's meant for precision trimming of the trickiest and smallest areas of your body. It will let you trim hairs to a length of 3mm. 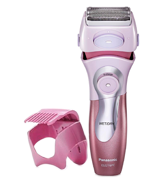 As you see, the Philips SatinShave Prestige Women's Electric Shaver is one of the best models for creating various styles in your most delicate zone. You'll be hard-pressed to find a more usable grooming tool for the bikini area. What Is a Women's Razor? Neat, soft and smooth skin is every girl's dream, which is why methods such as waxing, epilation, and sugaring have been invented. However, not all women are ready to go through the pain that most of these methods entail. Luckily for them, a lady razor still remains one of the popular choices. 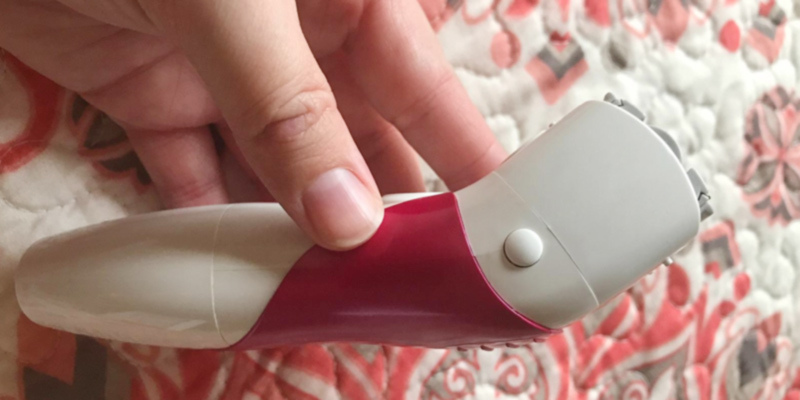 An electric women's razor is a cheap and absolutely painless alternative to other hair removal methods, which provides quick and effective results without causing redness, cuts, or ingrown hairs. 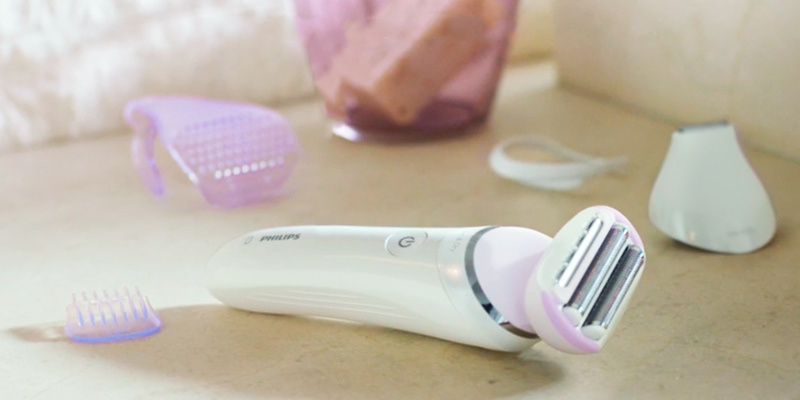 Plus, it's ideal for epilation in sensitive and delicate zones due to its unique grid shaving system which glides smoothly without nagging. 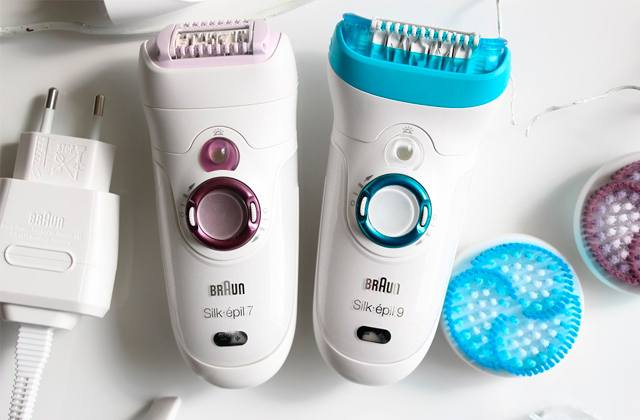 But if you feel like you're ready to endure pain for the beauty's sake, then proceed to read our comparison of top-selling epilators. And if you've got a budget, you may want to purchase a laser hair removal system instead. 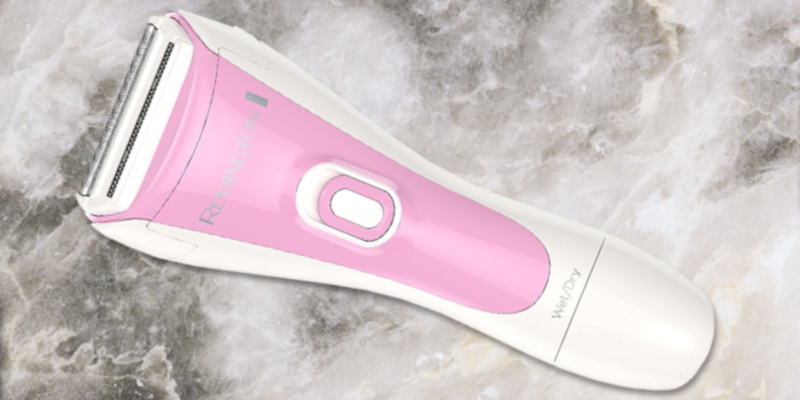 Though more expensive than other equipment, these systems ensure comfortable hair removal without discomfort and pain. 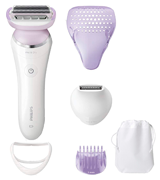 Before you choose a female razor, it is necessary to consider its usability. The vast majority of women electric lady razors come with floating heads. 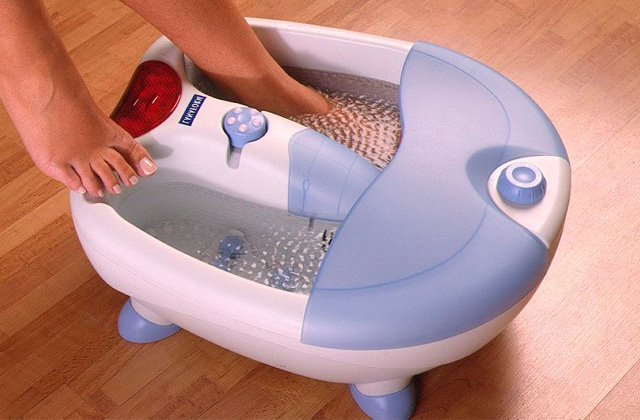 They allow you to precisely repeat the contours of the body and make shaving more comfortable. The more floating heads a trimmer has the better it will adapt to the body curves. A fixed head has an ideal angle for a comfortable shave. The number of blades in the shaving system greatly expands the possibilities for hair removal and creation of intimate haircuts. 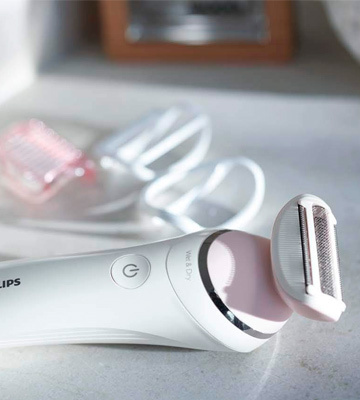 An important advantage of any ladies' shaver is that the shaving blade in the system is not directly in contact with the skin, so you can forget about irritation. Battery indicator serves for usability and notifies when an electric shaver needs recharging. When buying a lady razor, please note, whether it is battery powered or rechargeble. The charger is always included, in case if it is recharged off the mains. Electric shavers powered by batteries are considered to be more economical, but the batteries need to be regularly replaced. So it is important to consider the battery life of the lady razor. Typically, the device on a full charge can operate for 30-60 minutes. This is enough for a few shaves. 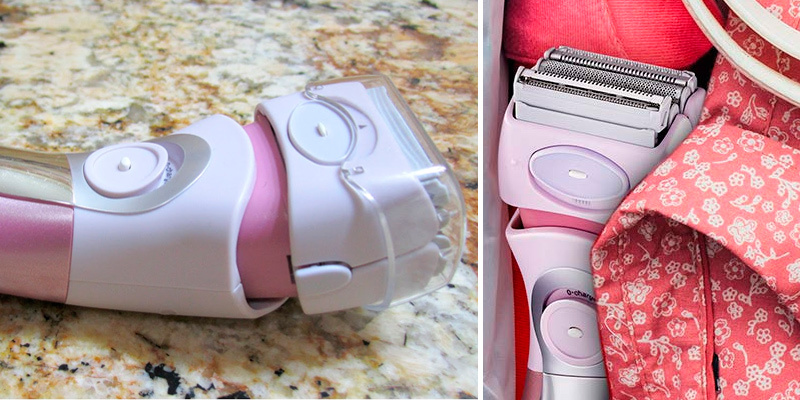 Special attachments allow to significantly extend the functionality of electric lady razors. They help not only to achieve the perfect smoothness of the skin, but also to do the bikini design. Trimmer is something like a groomer, designed to give hair a certain length. Trimmer, as a rule, completely replaces the main attachment, which is why the device is called a trimmer-shaver. It is capable of cutting hair very short and hair contouring. A bikini trimmer, also called a precision trimmer, is a model with a narrower working part, it easily allows you to make intimate hairstyles and create drawings. A trimmer is more convenient and useful if the kit includes a head-shaver. 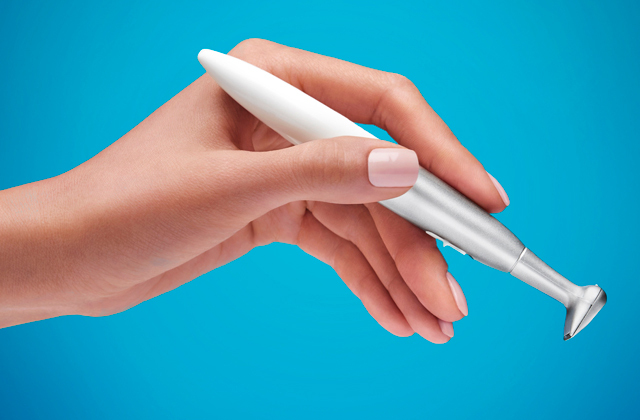 This tool lets you completely remove the hairs, giving the skin absolute smoothness, and does not irritate the skin. A comb is a plastic attachment that sets over the lady razor, it is not adapted to shape the haircuts, but it effectively shortens the hair on the flat areas of the body. Attachment for eyebrow cutting is indispensable in cases when you need to shape them accurately. Another thing you may want to consider before buying a trimmer or a lady razor is whether it's aimed for wet or dry use. Most models are completely safe for use in the shower so if you'd like to get all benefits of using gel and foam, such shavers are for you. There are also models, designed for dry shaving only. You've got a lot of options to look through. All women's razors contain a variety of attachments and components for extra convenience. A typical kit of any ladies' razor consists of a cleaning brush, a storage case and a charging base. 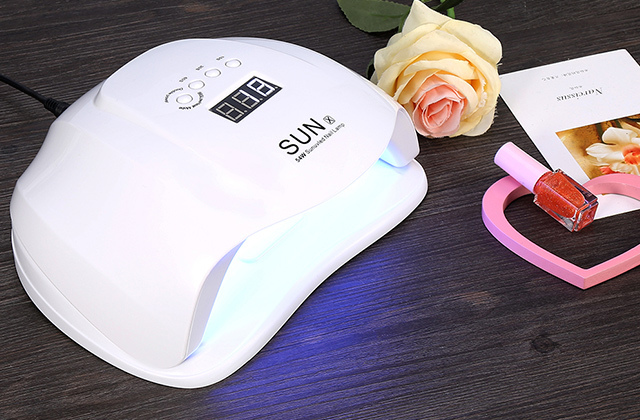 Some manufacturers of electric lady razors also include additional attachments such as exfoliating gloves for body exfoliation, a pair of tweezers with LED backlight, some oil to clean the women's razor, etc. All of those things are a huge advantage when choosing a product. Just like our fingerprints and teeth, our hair is unique. It is often used for DNA analysis as it contains information about a person's genetics, lifestyle, and diet. It can tell about everything that’s in the bloodstream including drugs and medicine. By the way, every hair on your body has its own nerve, blood supply, and muscle. The only thing the hair can’t tell is your gender because men’s hair and women’s hair are completely identical in structure. Some scientists conducted several surveys to find the correlation between our hair color and personality. The study showed that blondes are usually very cheerful and flirty, redheads are strong and reserved, while those with dark hair are serious and smart. Another interesting fact that blonde people have the biggest number of hair follicles. Maybe, that’s the secret of their good mood? Hair can effectively absorb oil from water. So, any oil spills can be cleaned using the human hair. Have you ever noticed hair on your palms, lips, feet soles, mucous membranes, or eyelids? No! That’s because these are the only areas on our body that are completely smooth. But hair can grow everywhere else. And unfortunately, human facial hair grows faster compared to other hair on our body. 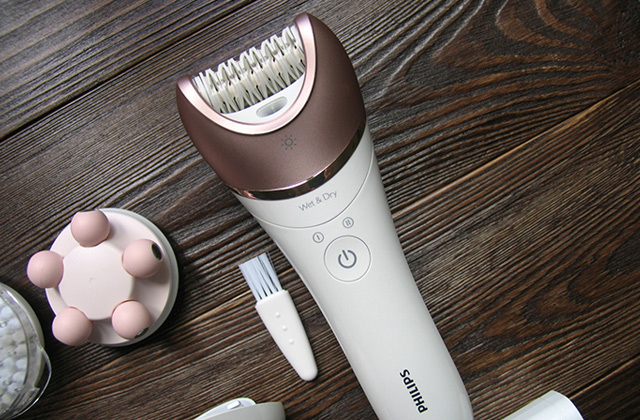 That’s why you might also be interested in purchasing a special facial epilator. Have you ever thought how much time you spend on shaving your legs, armpits, bikini area? What about tweezing your brows? A mind-boggling fact is that an average woman spends approximately 1,728 hours shaving her legs over a lifetime. That makes 72 days! Each shaving takes about 4 minutes. Moreover, the survey shows that shaving is the most hated beauty ritual by women. But we're sure that one of the reviewed razors will definitely make hair removal procedure much more enjoyable. As for men statistics, they spend 5 months of their lifetime on shaving. Styling hair takes about 2 hours each week and 294 days over a lifetime. Removing makeup. Women spend about 52 days on removing makeup and even more on applying it. Moisturizing takes approximately 44 days of our life. Tweezing eyebrows makes 30 days in sum. Painting and grooming nails take more than 30 days. An average American woman spends an incredible sum of money on her appearance over a lifetime - more than $80,000. 1. Women's Razors Buying Guide, Ebay. March 10, 2016. 2. Ladies Hair Removal, Shavershop. 3. Electric Razor Buying Guide, Consumerreports. April, 2016. 4. Top 10 Best Electric Shavers for Women in 2016, Tenbestreview. 2016. 5. Miki Hayes 6 Different Types of Hair Removal Explained, So You Can Pick Your Best Method of Smoothness This Summer, Bustle. June 4, 2015. 6. 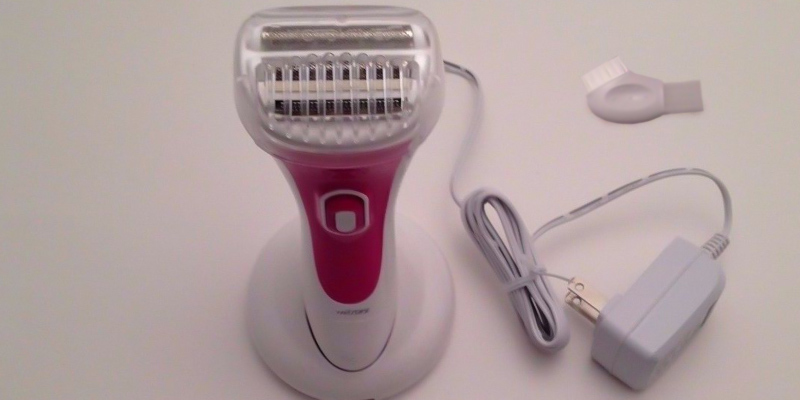 Women's Shaver Reviews, ConsumerSearch. October, 2015. 7. Rachel Krause How to Find the Best Hair Removal Method for You, Stylecaster. 2015. 8. Best Hair Removal Buying Guide, CustomerReports. May, 2016.